DO WE NEED TO TELL YOU THIS IS A SPOILER WARNING?!? 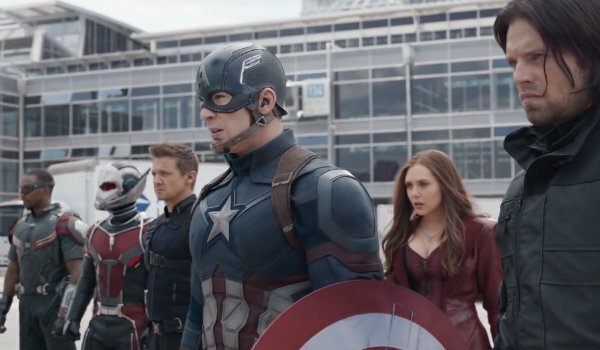 SERIOUSLY, WE’RE GOING TO TALK ABOUT THE SCENE AFTER THE CREDITS ROLL ON CAPTAIN AMERICA: CIVIL WAR. THIS IS NOT A JOKE. IF YOU DON’T WANT TO KNOW, LOOK AWAY. Marvel has made their post-credits sequences standard fare these days. If they didn’t include one for some reason there would likely be riots in the theater. While we’re still over a week away from Captain America: Civil War in North America, the film has opened in several countries overseas and that means people have seen it, and that means people are talking about it, and also pirating it. As a result, we now know what the first glimpse of the next step in the Marvel Cinematic Universe is. Are you sure you want to know? Team Cap is standing guard on the answer. Our closing sequence is all about Peter Parker. He’s back home in his room messing with his web shooters as he’s talking to his Aunt May. Except these aren’t actually his web shooters, there ones made for him by Tony Stark. Suddenly, one of the web shooters begins to emit a red light which Peter has to hide from his aunt. She’s asking him about a black eye, which he confesses came from a guy named Steve from Brooklyn (we’re not helping you with that one). There’s some banter between the two until Peter has a chance to shine this red light up on the ceiling to see what it is. 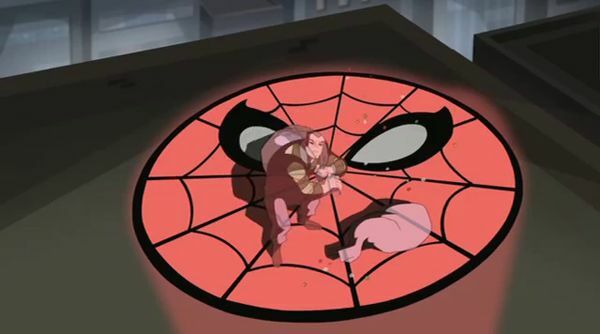 What we see is the Spider Signal, an image of the classic Spider-Man logo which the wall-crawler uses in the comics to let criminals know that he’s on to them. Although, this one is some sort of computer interface according to ComicBookMovie.com. Then the screen fades to black and reads "Spider-Man Will Return." So, it appears we’re skipping ahead of Doctor Strange and Guardians of the Galaxy Vol. 2 and looking at where Spider-Man: Homecoming is headed. It makes some sense, as thus far it doesn’t appear that either of Marvel’s next two movies will deal with anything that we see in Captain America: Civil War. Especially with the announcement that Robert Downey Jr. will be appearing in Homecoming we’re sure the new Spider-Man will take some its cues from however Civil War shakes out. That will be the next chapter of this particular story. So, if you were brave enough to come this far, what do you think? There is at least one other end credits sequence in the movie, and, as the Russo Brothers teased as many as three, maybe we’ll see something else in the film’s North American release.